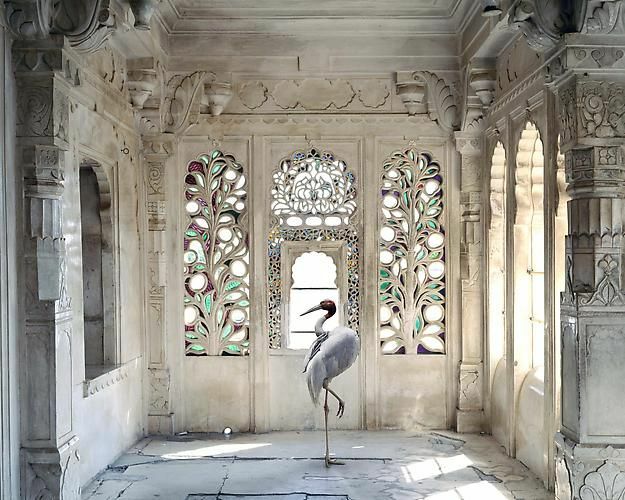 ADAMSON GALLERY is pleased to announce the opening of our Fall 2012 program with an exhibition of work by London-based artist Karen Knorr. 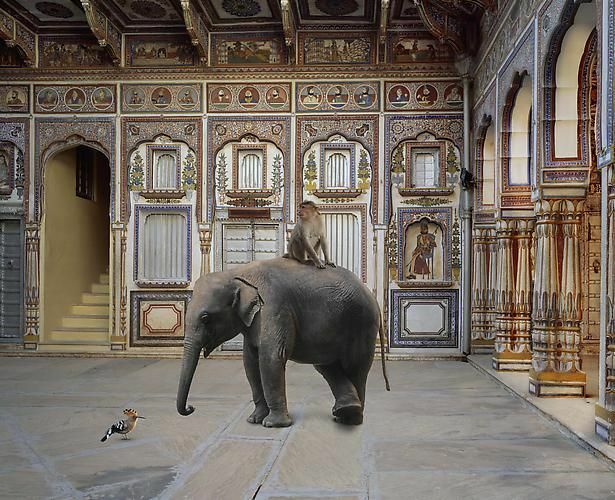 The collaged images in India Song digitized photographs of animals into large format digital photographs of interiors in Mughal and Rajput palaces, mausoleums, and holy sites in Rajasthan, Karnataka and Uttar Pradesh, India. The images generated by these combinations are beautiful, surreal, and striking in their appeal to the viewer imaginary. 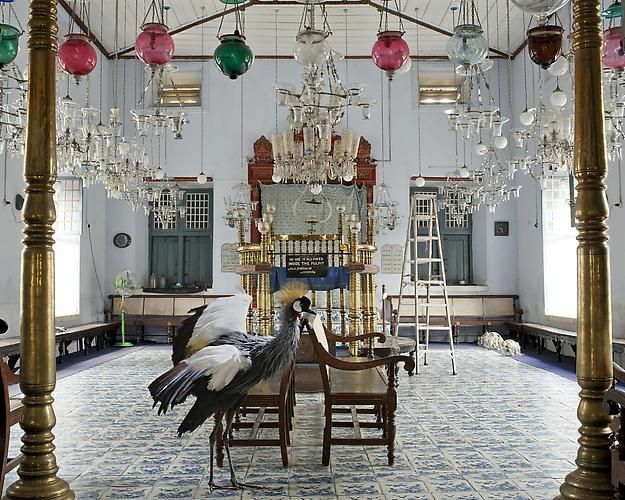 As Knorr says, “Cranes, zebus, langurs, tigers, and elephants mutate from princely pets to avatars of past feminine historic characters, blurring boundaries between reality and illusion.” For India Song, Knorr was nominated for the prestigious 2012 Deutsche Börse Photography Prize. 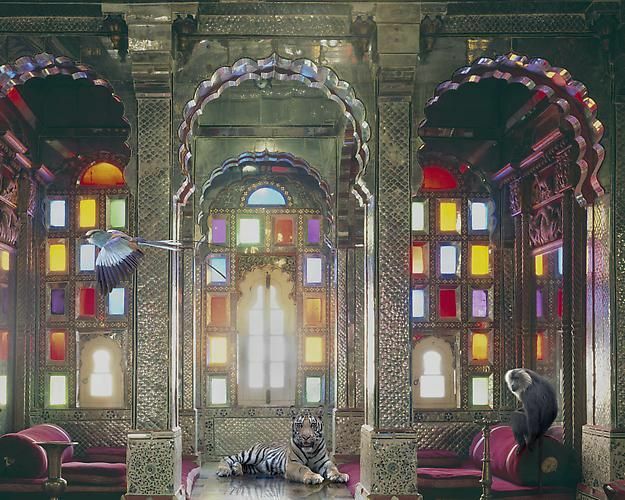 Karen Knorr has lived a global life: she was born in Germany, grew up in Puerto Rico, and has lived in Paris and London. The artist has taught, exhibited, and lectured internationally, including at the Tate Modern, the University of Westminster, Goldsmiths, Harvard, and the Pompidou Centre in Paris. Since the 1970s, Knorr has been producing images that interrogate questions of political, economic, and gendered representation. Past photographic series have taken as their topics wealthy conservatives, the British “gentleman,” and art connoisseurs. 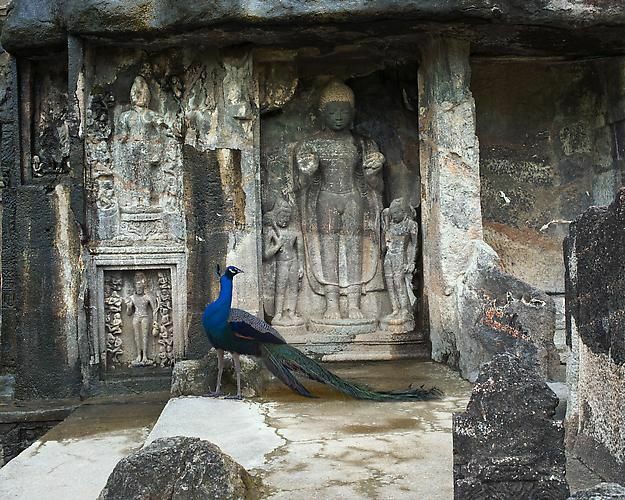 Knorr began the India Song series in 2008, after what she describes as a life-changing trip to India. 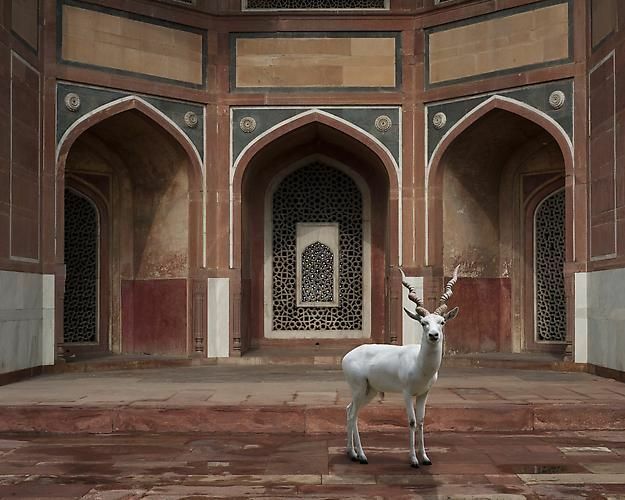 The series takes inspiration from Indian mythology, depicting scenarios that are at once otherworldly and hyperreal. 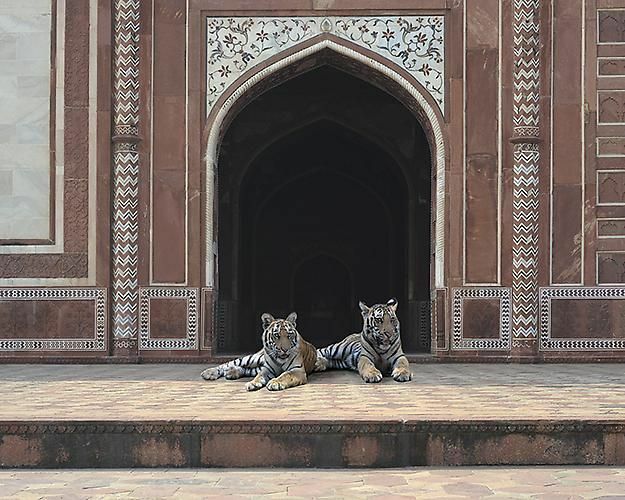 In “Edge of the Forest, Agravena, Agra,” two tigers lie at the entry to the Taj Mahal. Although their posture is relaxed, both stare intently out of the frame; aware of their environment. 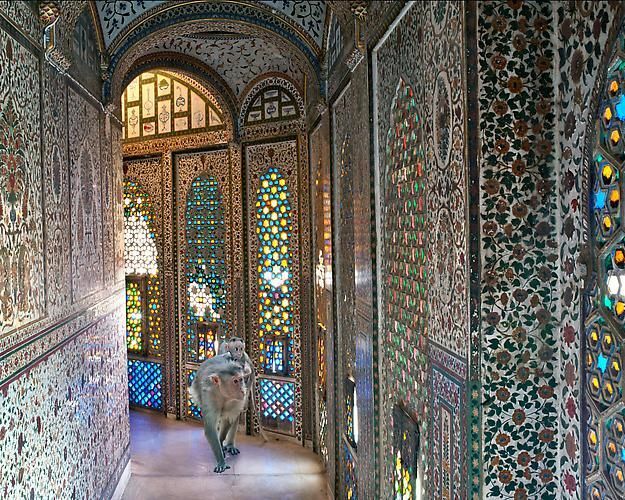 Their presence defamiliarizes our knowledge of the Taj Mahal as a contemporary tourist attraction, moving the space out of the present and into a mythical past. The viewer becomes a traveler, not only across space, but possibly also across time. 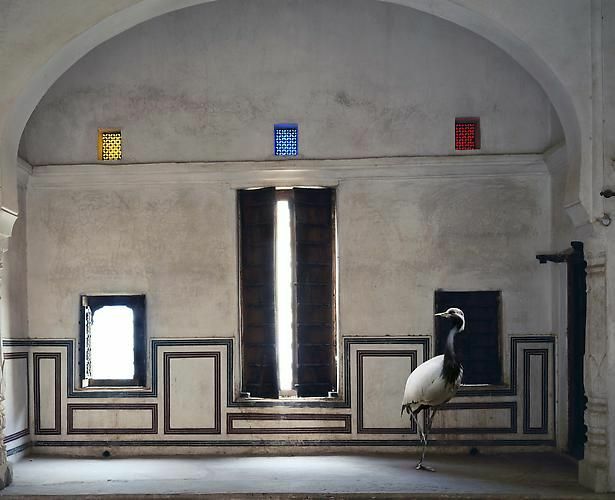 We are engulfed by the large-scale photograph which calls attention to the coloring, lines, and details of both its structural and living subjects which paradoxically blend in and are set apart from one another. 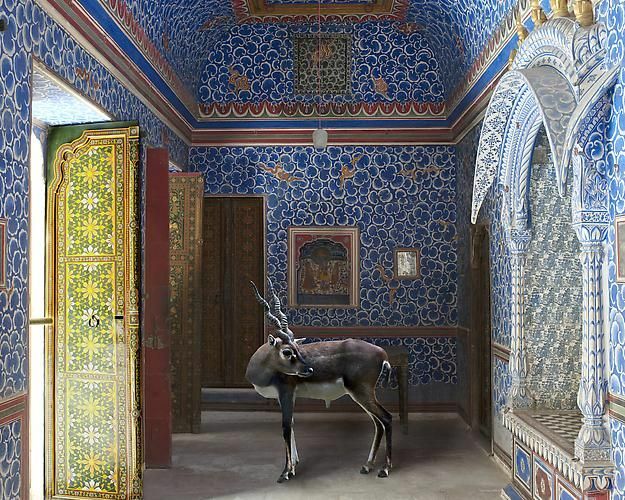 Knorr’s assemblages create narratives that captivate the viewer and interrogate tensions between old and new; east and west; stillness and motion; human and animal; and male and female. 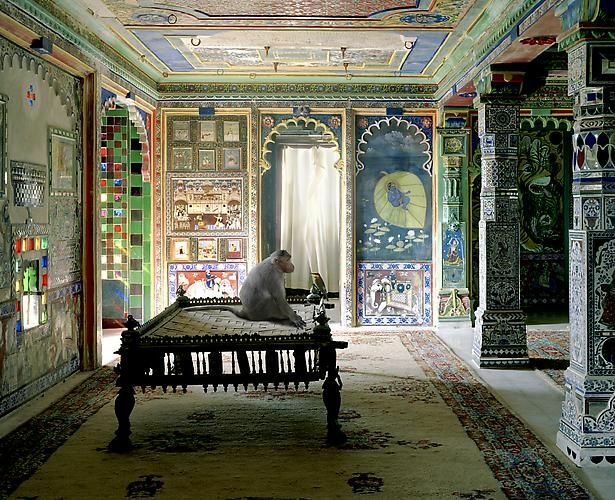 The stunning photographs of India Song have the power to transfix and transport.